The natural beauty of Breckenridge Colorado has inspired awe in settlers since the Gold Rush. Today, you and other visitors will find a plethora of outdoor and cultural activities no matter what time of year you find yourself in the Victorian mining town. Luckily, you will have some wonderful choices when choosing your Breckenridge lodging. You should put images of a hotel room off the Interstate out your mind, however. When staying in Breckenridge, you will most certainly want a view of one the country’s most beautiful towns. 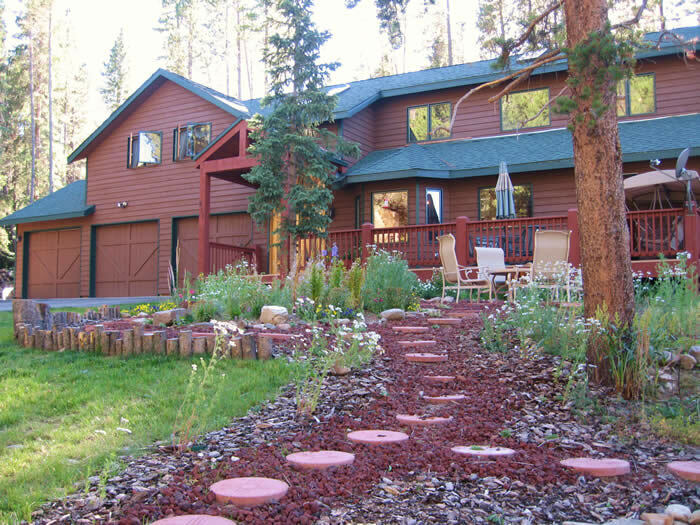 There are Breckenridge lodging accommodations to fit any preference or budget. Although hotels and bed and breakfasts are often associated with traveling, nothing beats a private rental for those who want the finest amenities. Our services include spacious, private dwellings and conveniences you won’t find elsewhere. Whether you are lodging in Breckenridge alone or with a group, a condominium or luxury house can offer all the comforts of home and much more. Book these great properties for your next vacation! Constructed in 2004, Sherwood Forest is a beautiful 3 bedroom, 2 1/2 bath private home tucked away in the mountains and surrounded by forest. Away from the congestion of downtown but close enough to enjoy all that Breckenridge has to offer. Beautifully remodeled condo in the heart of Breckenridge located two blocks from the Snow Flake Lift and just across the street from the Breckenridge Performing Art Center and one block from Downtown Breckenridge with all shopping, dining and night life. You can enjoy the views of the town and the mountains sitting in the balcony. 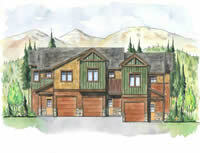 Walk to slopes from this newer 2 bedroom 2 bathroom condo with mountain furnishings and views of the slopes. Fully equipped eat in kitchen, living room with gas fireplace, sliding doors to deck, master bedroom with private bathroom, second bedroom and full bathroom. Beautiful 4 bedroom 4.5 bathroom townhome with one car garage conveniently located in the center of all Summit County ski resorts and close to the biking an hiking trails. Just a few minutes drive to Dillon and Frisco marinas. The townhome is new and features knotty alder cabinets, granite countertops, stailess steel appliances and comfortable furniture. There is a bathroom in each of 4 bedrooms. Great property to enjoy your mountain vacation!